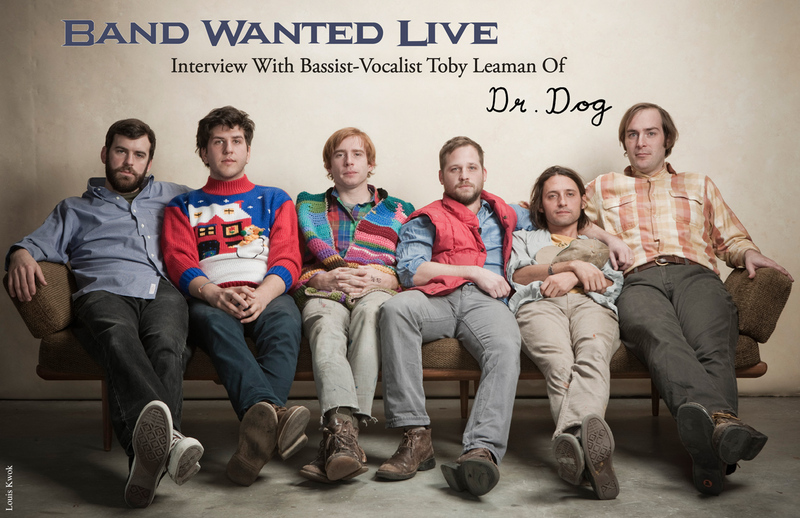 Vandala spoke with Toby, bassist and Vocalist of Dr. Dog. This band is a no holds barred creative smorgasbord. is an impressive testament to their unique musical stylings. So you guys have just started up a pretty big tour then? Toby: Yeah, we did eight days in New York City and then, yeah, that sort of kicked it all off. We did yesterday in Burlington, Vermont and then Buffalo and yeah it’s just sort of getting started. Yeah, that’s good, that’s got to be a great feeling of just a little momentum building back up? Toby: Definitely, it was actually a great way to start the tour too, eight days in one spot. It forced us to play a lot of new material. New York City’s quite fun. So, How did the band come together? Toby: That’s sort of a murky, like a murky beginning. I say that because Scott – he’s the other guy who writes and sings started playing when we were about 12 or 13. And then just sort of kicking around a band, I would say probably Dr. Dog probably started in ’99, I think that’s a safe assumption. The other bands we had at the time, they were just kind of doing, you know, just playing with people who were available and doing, genres and stuff that we weren’t, our favourite but it was fun to do, that kind of thing. 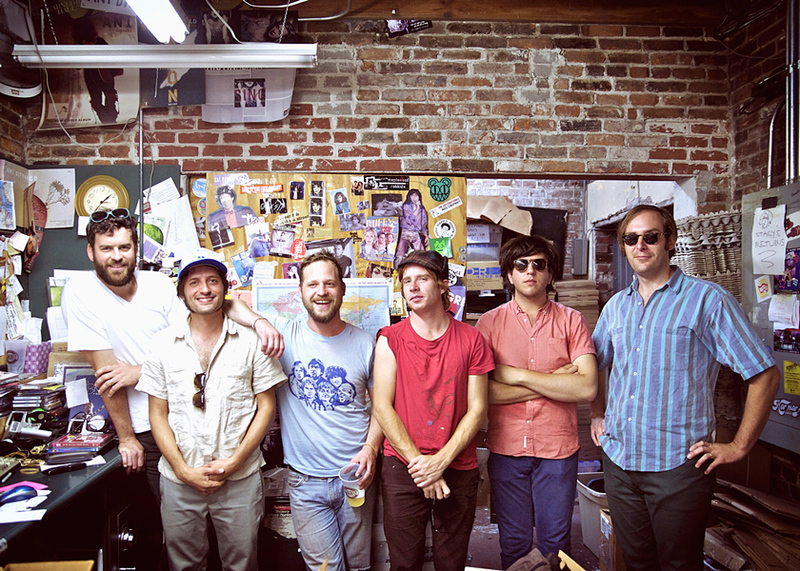 And Dr. Dog we just sort of this idealized version of we can do whatever the hell we want in this band. And if it’s only you and me (Scott) and, so be it. But, we gradually got more and more people who, had the same idea. All of sudden you’re doing your own thing. Well that’s pretty good, nice little organic growth process. I mean, the band is pretty big. Have people kind of joined over time or was it always the same unit? Toby: People joined over time, people left. Zak was probably the first one to join in the modern line-up. He probably would have joined 11 or 12 years ago. And then [Frank] joined about eight or nine years ago. And then [Slick] and Dimitri joined about five years ago. So, but, yeah, the band is pretty stable right now, I don’t imagine anybody, I don’t imagine us picking anybody up or dropping anybody for sure. Let’s talk a little bit about your live show now. I usually ask people what the bigger draw is to the stage and to the studio but I’m going to make an assumption that you guys, I mean, you guys seem to have so much fun on stage. So what’s the band’s relationship like with performing live? Toby: I feel like any good live act, the first thing you got to satisfy is yourself and that’s sort of a trite thing to say but it’s definitely true. You’ve got to satisfy yourself; you have got to love what you’re doing. We’re always pretty cognizant of that fact on stage, what the feel is like and what everybody’s doing and some of these issues come together, if somebody’s having difficulties we try to rectify that kind of thing. Usually that’s pretty easy to do and then if you can kind of work in the crowd and remember what night of the week it is, always important. Where you are that night? Toby: I’m serious, man, like you play the Monday night, it’s not a Saturday night crowd. So a little bit less bombastic, people are probably going to work the next day. They’re not going for a crazy party, necessarily. Toby: Yeah. I mean, there’s the, probably an element of crazy party that underlies the whole thing, but being aware of that kind of thing especially is valuable. Is there a stage character you take on, do you become different people on stage? Toby: Yeah, I mean, you kind of have to perform, otherwise it is obvious to your fans. You kind of have to just turn a switch and just be that person for two hours of your day but it’s not me exactly. It isn’t an exact representation of who I am. A slight alter ego, perhaps. Toby: It’s more like a totem, or something; it’s like a form, an iconic form. And, yeah, you definitely have to do that, otherwise you’d be also risking a lot of emotional stuff I think. Sure, you’re vulnerable on stage. Toby: If you’re saying what you said as yourself and not as somebody else on stage, it would be gut wrenching. Toby: Well, I mean, there’s some of that kind of thing. We’re all pretty good at warming up and making sure that we’re ready. That’s the most important thing we’re doing all day, everybody’s really aware of that. That’s always been part of our live act is energy, it’s just back then it was sort of overcompensating for lack of ability. It’s a good way to start. Toby: But when we see people respond to that, you say, yeah, that works, that works well. But it’s not like you’re getting a ton of physical activity when you’re sitting around on a tour bus all the time. So it’s good that you’re not a total slug. Absolutely, you got to get your energy out somewhere on tour. So you guys are in New York now, and it is a pretty big tour. Is this something that you guys are used to at this point or is it something that you don’t get used to? Toby: We’re definitely used to it. We’re used to travelling and we’re used to how to do it right and all that kind of thing. But, there’s always elements of it that is different. Like we’re doing a lot more double nights which is kind of new for us. I mean, we’ve done a few in the past, haven’t really been very good at them, but I feel like especially starting off eight dates in a row, you kind of got it dialed in now. To do that we kind of change up the set and, we just practice a lot more. We’ve practiced a lot more for this tour than I think we have for others. So we have a lot more songs at our disposal. Well, yeah, and I mean, it’s kind of like weight training, touring is great for getting the band tighter especially if you’re playing double shows. How important is the personal chemistry of the band, how does friendship come into the music? Toby: It’s vital And the funny thing about this band is every dude in the band right now, at one point we were their favourite band before they were in the band, which is kind of an incredible thing. So that’s pretty awesome. That’s not bad. So you’re always growing? Toby: Especially when we got Slick on the drums, it’s incredibly tight. He’s extremely versatile, especially showcased on our new live album. 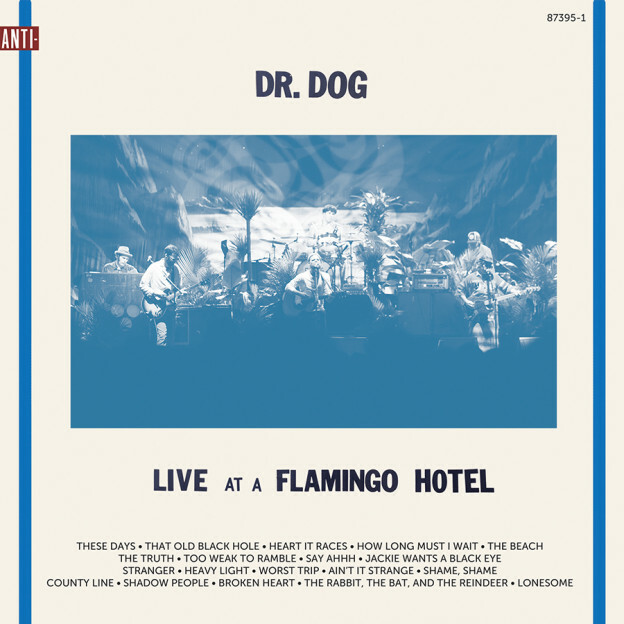 Just got the pleasure of listening to your new live album, A Flamingo Hotel. So, you guys just went through the process of recording that, I’m sure it was extremely different from recording any of your other albums. What was the build up to that album like, what was the procedure in getting ready for it? Toby: When we recorded, we recorded 20 nights, which was definitely the right way for us to do it cause I feel like if we had done one night, it just would have sounded like a big, it would have had to be a spectacle and I think we would have had to be completely on point. There’s no way we’re going to play the best versions of all of these songs in one night. So, yeah, we went through 20 nights and we listened to everything. Toby: We did, we picked, we early on all picked the song that would be on the album and then proceeded to listen to however many versions there were. 20 or whatever different versions. Toby: When there was a really egregious error pretty early in the song, you’re like, okay we don’t have to listen to this whole f*cking song. But, yeah, that was the, that was definitely the hardest part of the process. And then the mixing part, great, so easy, cause, you know, when they’re mixing a record, every song, at least for us, every song is its own animal. Toby: So on a studio album tones might change drastically, the sonics might be completely dissimilar on every tune and the structure is still up for grabs in the mixing process, so many variables. On a live record you want it to sound consistent, you want it to sound like the song before it. Yeah, you want it to sound live. Toby: Once you get your tones, you’re golden. There’s no structural changes either. Of course, it’s kind of set in stone. None of that. That’s off the table, so yeah, that, the mixing part was really fun. When it comes to the songs, writing songs, where is it done? Is it done on the road, do you guys do it at home, is there a special place? Toby: Most of it’s done at home. And maybe, especially on more recent albums some of it’s done in the studio. But it’s really hard to write on the road. I mean, you get ideas and you jot them down, but the amount of songs we’re written on the road over the years, I think you could count on one hand. The writing process is very solitary and when you’re in a tube, a square tube, 12 other dudes, and not really conducive, it’s not like you can just, you know, lay on the floor on your belly and write for hours on end. Yeah, absolutely. So at the end of a tour are you guys happy to get away from each other? Does the touring affect the band’s relationship in a negative or a positive way? Toby: No, not at all. I mean, we’re all always I think very excited to get back to our families. But we’re all very tight, and our crew too it’s sort of assembled the same way as we assembled the band. Find people you can work with but that, you know, there’s guys who what they do on the road is different than what they did when they started with us.. And it’s just kind of like now you work at – in this unit here, you just work with us, we’ll figure out exactly how to delegate, you know. The crew is very tight. We’re all dear friends of ours and we have a past, a few years we’ve had. I mean, we’ve had the same tour manager and sound manager, same dudes for eight years. He’s not going anywhere, same guy we’ve had for four years, lighting guys been around for five or six years. When you find someone good you hold onto them. Toby: Yeah, I mean, it’s just important that everybody’s on the same page and everybody works well together and enjoy each other’s company. I think that’s the best part of the deal. I mean, I think it’s just, part of the way, I mean, the fact that Scott and I have stayed together, been playing together for 22 years. I just think it’s, that’s just what’s comfortable for us, and yeah, if somebody’s good, you know we keep’em. Yeah, creatures of habit over here, right. I was going to ask you about music, not your music, in your everyday life. Where does that come into play, are you always busy writing music so you can’t listen to music or you listen to music so that you can write music? How does it come into your everyday life? Toby: I definitely, it really sort of depends. I have a two year old daughter now, and so I have to really carve out time to write. You can’t write with a two year old, you can’t in the same room, nobody’s ever done that. Ha, I think you may be right. So I listen to like triple A radio and stuff like that. You know, like it’s hard for me to really enjoy a lot of stuff. So you listen to old favourites? Toby: Yeah, I just put, a lot of times I’ll just have a record on all day, slip it back and forth. So I end up listening to a lot of stuff that isn’t, either doesn’t have words or is not in English. Is it you and Scott that generally write the songs or do other people bring in ideas as well? Toby: We’ve been telling people it’s an open door. Nobody really has done that. People will maybe help out with a bridge, a lot of times that will happen. Toby: Yeah, so sometimes, usually on the record like one or two songs we’ll have where somebody else will definitely bring a part to it where they get credit for it, you know. For sure. You guys have a lot of very interesting and sort of diverse song composition structures and things like that. So, it feels like you guys in a song or especially in an album are sort of trying to tell a story, is that intentional in your shows and recordings? Toby: Oh, yeah, for sure. Yeah, I mean, every little song I feel should be a little vignette, just a concise thing that is its own thing. Whether or not there’s any conclusion or beginning or end. And then, usually, when you frame the record, when you frame the album, it’s just sort of what are we trying to portray, it’s like what’s the end game here. So where does the influence come from in the band specifically, what are you guys into and/or where do your creative juices flow from? Toby: Well, I think that in general, we’re pretty heavily influenced by what we did usually on the previous record. We’re just seeing, what kind of path we went down, and if we want to go further down that path. Then it’s like, “Oh remember how this little jammer, this one little part, it’s really cool.” It’s kind of maybe try to do a song with just that kind of thing. That happens a lot I feel like. And so far, influences and everything, we’re very song-specific. The intent is very song-specific. We can be any band we want to be. Toby: We do not have the same instrumentation in every song, that’s just because not every song calls for it or you don’t want it? If we need a song that is a straight up rock song sure we do it. But if we need a song to have a little more subtlety and that kind of thing, we’ll figure that then. So not everybody is always playing on every song, that’s definitely something that happens. Your lyrics are sort of playful and mystical and general but also seemingly about some very specific things. I was wondering if you’d be willing to give an example of something that the songs are about. Toby: Sure, yeah, here’s one. I mean, it’s not a popular song but I would just say, I was just thinking about it last night cause we played it. It’s a song, it’s called the Cuckoo. Yeah, that one, it’s, that’s kind of one of the general and specific things, like the lyrics, it’s about a dude who’s actually a cuckoo on a clock or that is his life and he’s terrified to go too much further out, always coming back, never really exploring, and sort of being tied, tied to the clock. He comes out for a minute, he comes back. He’s kind of scared of the rain. He never really explores and just always comes back. Toby: Always coming back to his house, and coming back to like the actual physical representation of time that he can’t escape or he’s too scared to. You guys are a veteran band at this point. But I’m going to say from the way you’re talking about it before you guys maybe have some big plans for the future as well? Toby: Yeah, we just finished a record. Well, we actually have two records in the bag now. Oh, wow, that’s great, you guys have tons of recordings already. And of course we’ll be looking forward to however many albums you secretly have already.